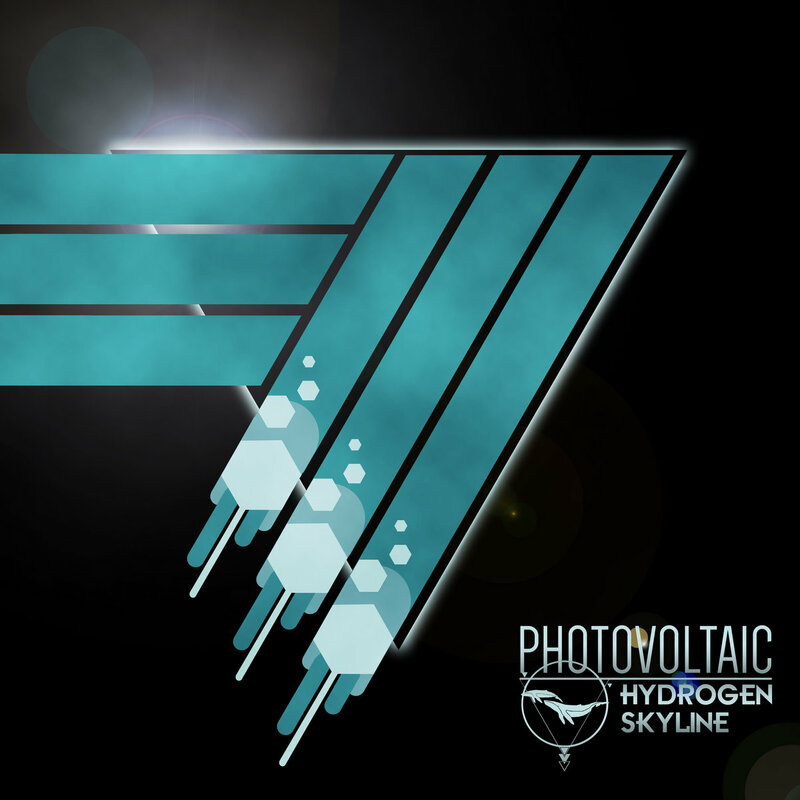 Track-By-Track: Hydrogen Skyline – ‘PHOTOVOLTAIC’ – Ouch That Hertz! Picture mixing the synthesized sounds of Twenty One Pilots with the lyricism of No Doubt and the punchy indie-rock vibes of Metric. Sounds like a sweet deal, eh? What if I told you that this mixture was real? Allow me to formally introduce you to Hydrogen Skyline- also known as your perfect medley of infectious synth-pop/rock sounds. 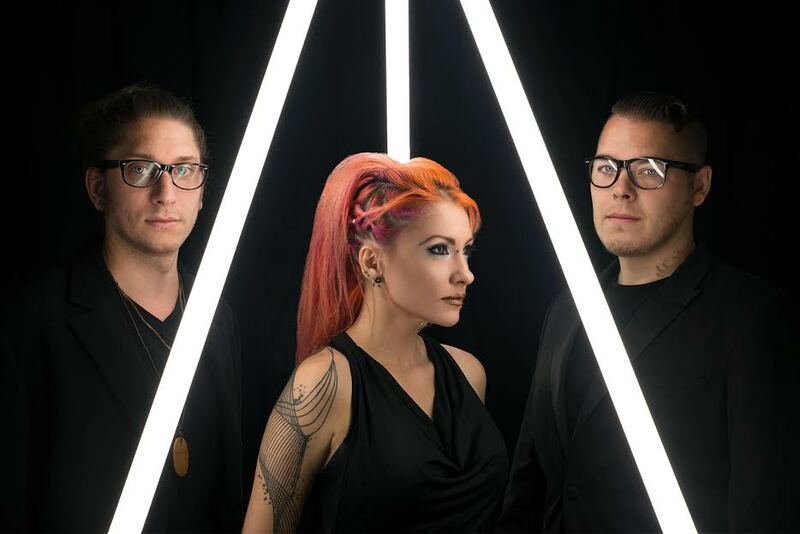 Comprised of vocalist Asher Skyline, her husband Norman on keyboards, and his twin brother, Mark, on guitars, this dangerously alluring trio released their third full-length album, Photovoltaic, on August 26th. Be warned, for this allure is much comparable to that of a siren’s call- enticingly beautiful with hauntingly gorgeous arrangements and tranquilizing harmonies that will drag you into the depths of easy-going earworm mania. We have the utmost pleasure and honor to present to your eyes and ears their official track-by-track of Photovoltaic, in which the band takes your on a visual, cinematic journey through the album! As always, each track is embedded for your better visual and aural experience. So, sit back, read on, and don’t forget to press play! Enjoy! If “Seize the Day” was a scene from a movie, it would be the point where the nerdy kid who is cowering in the bank during an armed robbery gets up enough courage to decide to do something other than become the victim. Bluntly: The timing is never right, there is always surmounting resistance, but the situation is what you make of it. “Analog in Digital” is a story about kids who never seemed to fit in, in an industry of musical talent that is undercut and subversively against creativity that isn’t directly marketable. It’s a story of forks in the road and choices to be made of how much of themselves these kids will give up to make it in this industry and to see their successes become based on what those above them want as opposed to their own self-expression. “Analog in Digital” as a title is a sarcastic nod toward the current music feuds with bands vs. DJs. The title also represents the changing of times, but more so in the musical sense of the industry with artists vs. record companies. “Dropping Names” is self-explanatory. We all know those types of people who are constantly trying to one-up others and reference others’ successes as if it is a golden trophy of their own. Sometimes these people are our best friends for a time and seem to have our best interests in mind. But sometimes the road to Hell is paved in good intentions. In a scene, “Battery Acid” could be visualized by the time you are broken down and feeling more than defeated. When you realize through whatever circumstance in your life, that what you are trying to give is never enough for someone. When you realize that everything you are doing seems to make things worse, and every response or look or stint of silence you get in return is causing you to feel like your heart won’t be able to handle it for another second – and maybe it will just explode. Maybe it’s you, or maybe it’s them. Sometimes you just have to take a deep breath. Life is full of stressors, and wishing for what could’ve been, but what can you do about it? In a movie, “My Demons” is the point in which the main character has hit the bottom. Their debts have been called in, their freedom has been taken, they have been abducted by masked men with guns, they have been beaten, and their future is uncertain at best. Leaning against the passenger window and watching the rain run rivulets down the glass through swollen and red eyes, the main character is at a point of understanding that a lot of what they are has come down to this point. And as they watch the dreary landscape fade away from them, they have to wonder if this is the end. “High” is a feel good song about … getting high. However, this isn’t just a tribute to drug usage, but more of an homage to good times and reaching a transcendental point beyond yourself. Hydrogen Skyline is comprised of Asher Skyline, her husband Norman on keyboards, his twin brother Mark on guitars. Aside from music, they love craft brewing, animal rights, politics, video gaming, street art, and literature. Formed in 2011, Hydrogen Skyline has waded through the tempests of music and band life while expressing their passions about love, loss, and personal changes through their brand of melodic and groove laden compositions.